The Damn Near Smell Proof Kimberly in black distressed leather is the perfect "go anywhere" discreet carry case. 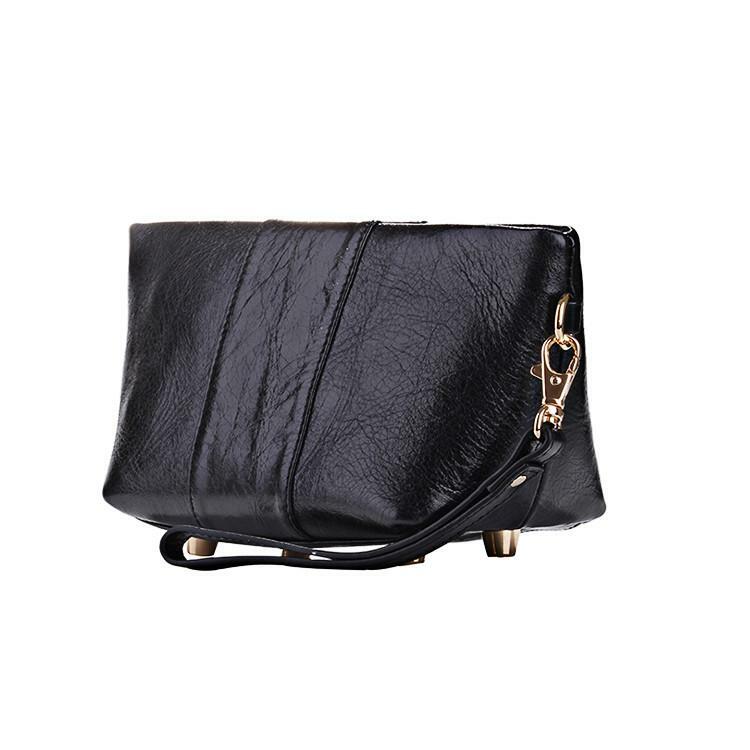 It's in soft supple leather with Odor Loc Tech, and has a removable wristlet for added convenience. 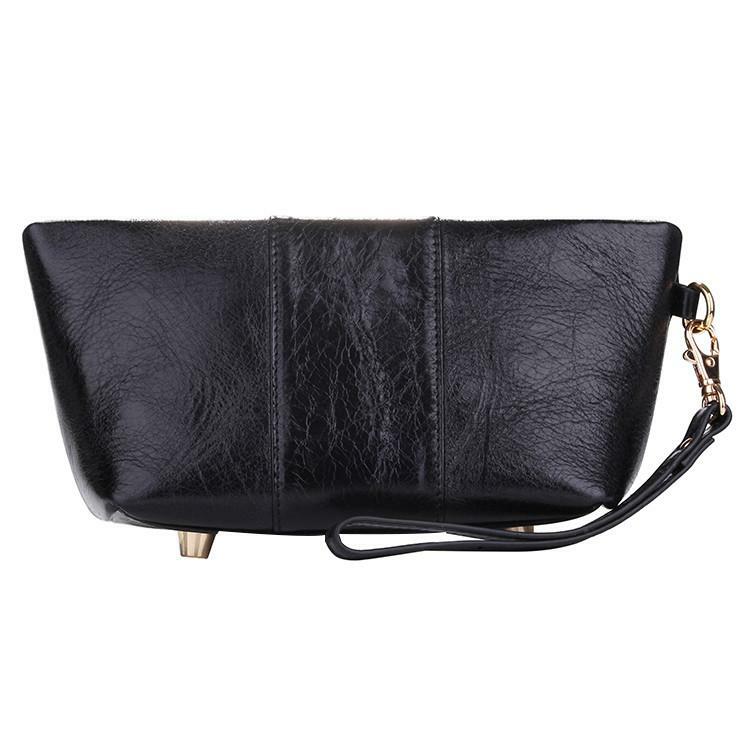 The Kimberly has credit card holders and is roomy enough to fit most phones. It has an exta odor controlled inside pocket and it's little feet let you sit your Kimberly on the bar, keeping it safe from accidental spills! The length of the Kimberly is 9.5” at the top opening and tapers to 7.0” at the bottom. The height is 4.25” high and the width starts 1” at the top and widens as it goes down to approx. 3.5” at the bottom.